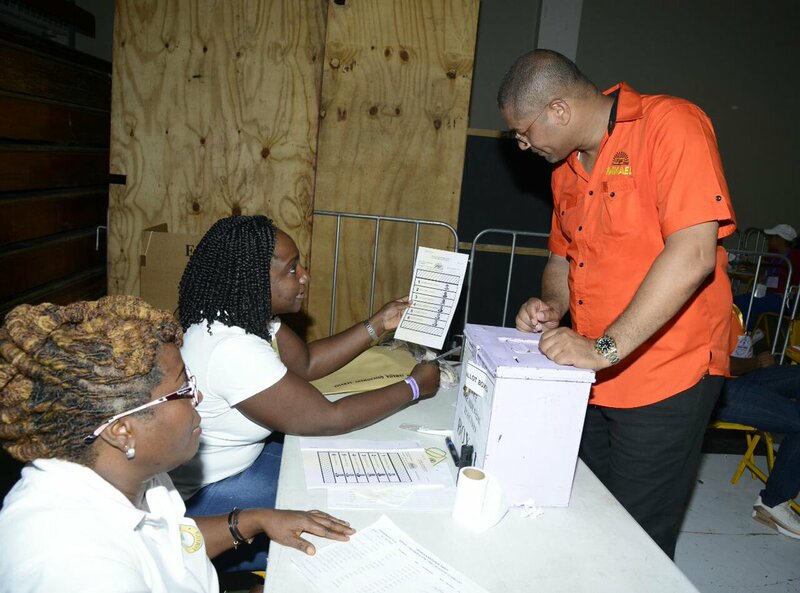 Counting is now under way at the National Arena to determine who will fill the four posts of vice president for the People’s National Party (PNP). And already supporters of contenders Dr Angela Brown Burke and Damion Crawford are claiming victory. 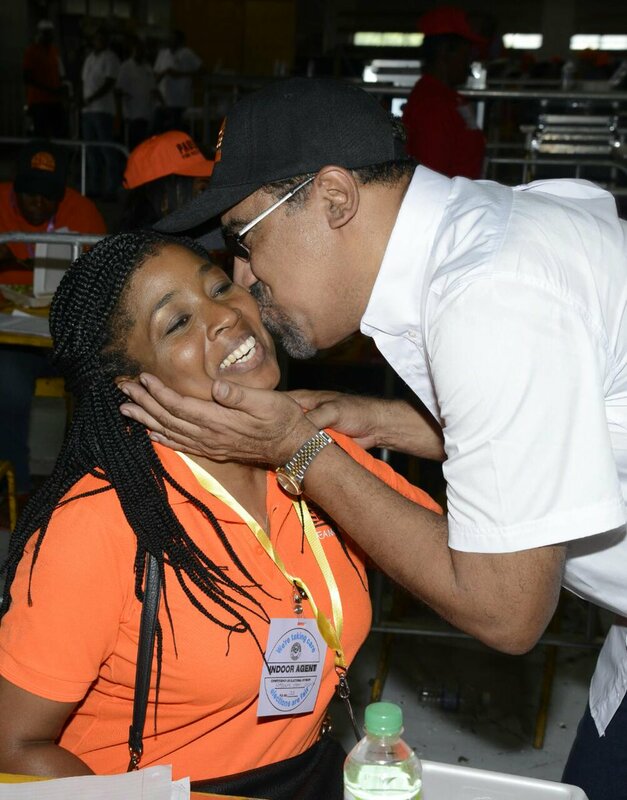 IN PHOTO: Dr Angela Brown Burke greets supporters as she arrives at the National Arena. The other contenders are incumbents Drs Wykeham McNeill and Fenton Ferguson and newcomers Phillip Paulwell, and Mikael Phillips. The official results are to be announced about 6 pm. But supporters of Crawford and Brown Burke have increased the volume of their sound systems and have turned up the throttle as they move into celebration mode. The polls opened at 10 a.m and closed just after 4 p.m.
General Secretary Julian Robinson described the voting as smooth and event free. However, some delegates complained that they had a hard time voting because they did not have their voter ID cards. The elections were conducted by the Electoral Office of Jamaica. Members of the People's National Party Youth Organisation (PNPYO) are convinced that their votes will weigh heavily in today's vice presidential election for the party at the National Arena in St Andrew. Incumbents Drs Wykeham McNeill, Fenton Ferguson and Angela Brown Burke and newcomers Mikael Phillips, Damion Crawford and Phillip Paulwell are vying for the four posts of vice president. Many PNPYO members are backing one-time president Damion Crawford. "It's youth time now and anyhow he has to get in, he will get in. 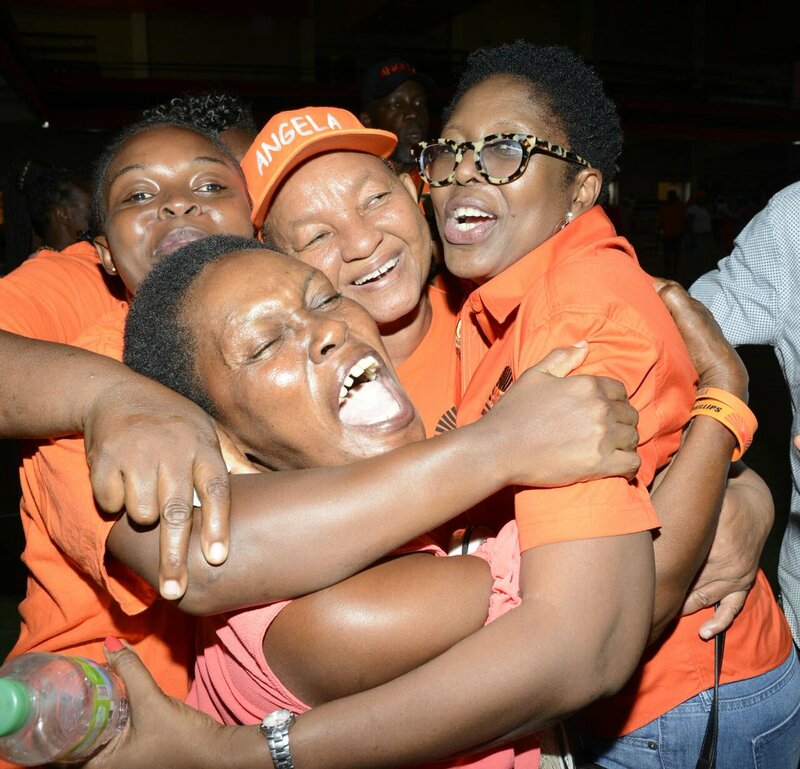 We are prepared to kick down the door for Crawford this time, there is no holding back," a PNPYO member told The Gleaner just after he voted. 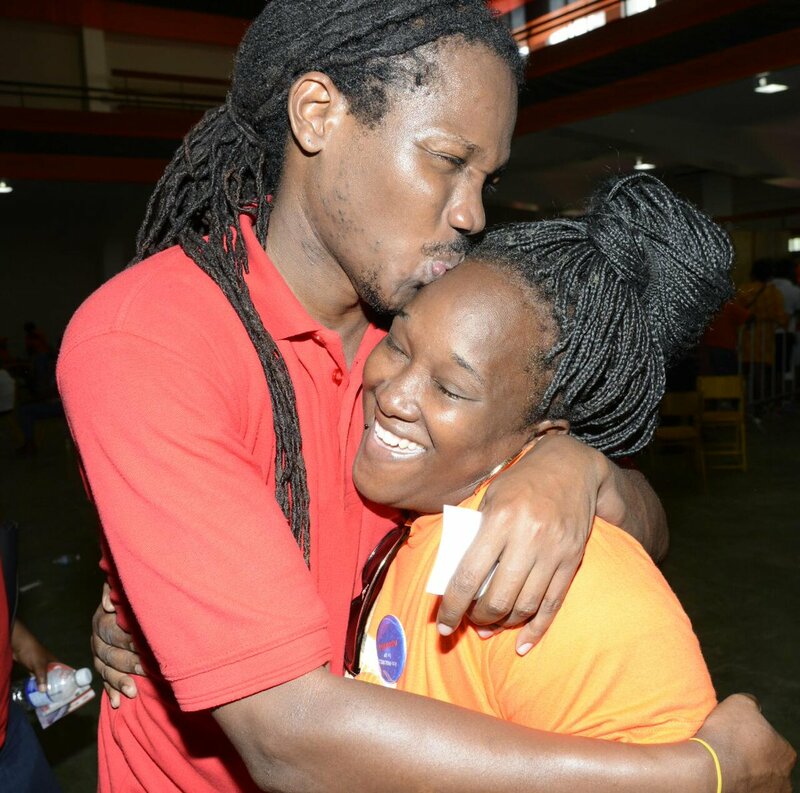 IN PHOTO: Contender Damion Crawford plants a kiss on the forehead of a supporter ahead of voting in the vice presidential race. He argued that for too long the PNP has been "holding down" Crawford. Meanwhile, PNPYO president Krystal Tomlinson said she was pleased with the turnout of members of the youth arm for today's polls. She said the PNP's democracy was on full display. Tomlinson mentioned though, that the PNPYO as a movement had made an executive decision that it would not be mobilising support for any particular candidate. "We made that deliberate decision. It's a new executive and we just didn't feel that we should have done that at this point," she said.